Having established themselves as a powerful force to be reckoned with in the town of Dominion Creek, the Connolly brothers stand united against the dangerous turmoil of the Yukon’s remote Klondike Valley during the 1890s gold rush. 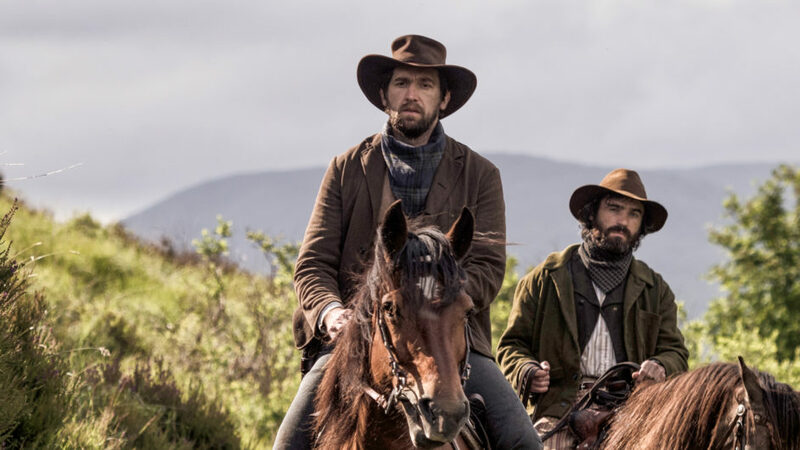 Eldest brother Tom (Owen McDonnell, Single-Handed) emerges as the leader of the Connolly clan and is determined to build an empire for the family, no matter the cost. While kind-hearted Pádraig (Séan T. Ó’Meallaigh, Vikings) proposes marriage to his sweetheart and continues his humanitarian work, hot-headed Séamus (Dara Devaney, Camelot) begins to realize that if they are to succeed, he must trust Tom’s ambition. The brothers anxiously await Captain Pat’s (Ned Dennehy, Peaky Blinders) trial for the murder of Skookum Jim, but a shady judge (Timothy V. Murphy, Appaloosa, Criminal Minds) and his partner (Duane Howard, The Revenant) might prevent justice from being served. Against the growing lawlessness in Dominion Creek, typhoid ravages the town’s residents, and Pádraig is forced to make a choice between his family’s success and the greater good of the community.